The government has increasingly put the “loco” in in loco parentis. 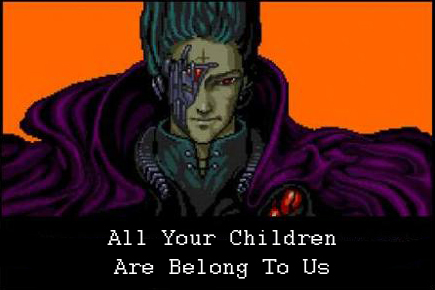 Leviathan has increasingly assumed that all children are not under the aegis of their parents, but that parents are simply allowed to raise Leviathan’s children. Now, the city of Washington, DC has decided that parents who organize “play dates” for their children, with some basic common sense ground rules for behavior, must beg permission first from the government. “Back in the 1970s, a group of parents got together to create an informal playgroup for toddlers in DC in a spare room of a local church. Over the last 40 years, groups of parents and their two-year-olds have enjoyed these three-hour playgroups, which children can attend up to three days a week. The playgroup is staffed by parents of the kids who attend, and they take turns watching the children. There is no paid staff. How dare those parents not defer to Leviathan in regards with whom their children play and under what terms they play! This entry was posted in Progressives and tagged Leviathan. Bookmark the permalink.